How Often Should You Clean and Service Your Commercial Refrigerators? There are some jobs that you keep pushing to the bottom of the “to do” list around the regular cleaning and maintenance of your commercial refrigerator and freezer. Often these invaluable pieces of equipment are taken for granted as they get on with the job in hand, keeping your stock viable and safe for use. In commercial kitchens and environments, the refrigeration does tend to be on the end of some rough handling, from food spillages to doors pushed shut or knocked by trolleys as food is moved and used. There are very strict guidelines when it comes to taking care of food products but when it comes to a little TLC for the units that are doing all the hard work, it is a different story. It is not surprising that refrigeration is at the bottom of the list because often people are not clear on how often they should be cleaned and serviced, until they start to go wrong. What is the time span for cleaning and servicing? This very much depends on a number of factors based on the amount of usage and the demands made on the units by the business. The experts do recommend cleaning and maintenance happens on a regular basis and there are a number of checks and cleaning routines that can be carried out by yourself. The rest of them need the services of a professional commercial refrigeration service. Checking temperatures on a daily basis is a given in the frozen food industry but also check the defrost frequency settings as well. Food is going to spoil or form ice crystals on the surface if the temperature is not at the correct level. Lower temperatures will cause the unit to work harder, using up more energy than is necessary and eventually leading to a shortened lifecycle for the refrigerator or freezer. Make sure the area around the units and in particular, the external coils are kept clear. If the air flow to the coils is blocked, then the refrigeration equipment has to work doubly hard to maintain the required temperature. This is not the best use of energy and will restrict the machine from working at its optimum performance. Keep the inside clean using the manufacturers instructions on the best method of cleaning. Avoid steel wool and harsh chemicals, such as bleach or caustic soda. For walk in coolers, ensure that staff turn out the lights as these will increase the temperature forcing the units to work harder. Fluorescent lights are best used because they don’t generate as much heat. Carry out a visual check both inside and outside the unit, checking for signs of damage, such as dents in the sides and coils or splits in the door seals that could cause the cold air to escape. Check the door hinges and gaskets, by using a piece of paper folded and closed in the door. There should be a slight resistance when you try to pull the paper out, if the door gasket is working properly. If there is a problem, make sure you get a specialist in to replace the hinges or seals as soon as possible. Lubricate any hinges and check that there are no holes or cracks in the exterior walls. Any kind of damage or disrepair means loss of cold air, the unit working overtime to keep the right temperature and, in some cases, the coolant fluid leaking out of the coils. Dust and contaminants on the coils will also decrease their efficiency so clean each evaporating and condensing coil using a commercial condenser coil cleaner. This is something that can be carried out by yourself, but the recommendation is that you get the experts in to make sure this is carried out safely and properly. The same goes for cleaning the dust and grease on the fan blades, because any debris will cause them to slow down the motor and in time this can burn out. Book in a bi annual visit from a commercial freezer specialist to carry out a thorough check and service of the units. You can rest happy knowing that they will be able to identify any parts that are in need of replacing and the work they carry out will not void any warranty on the machines. They will also carry out the specialist checks, such as the suction line insulation and compressor operation having the right tools and knowledge to do this safely and efficiently. Other six-monthly checks they can undertake will be the operation of the motor and refrigerant levels. Thermometers need to be calibrated and their service record is very important as and when environmental health officers come around to demonstrate your compliance with the regulations. They will also clear drain lines and check all electrical connections. 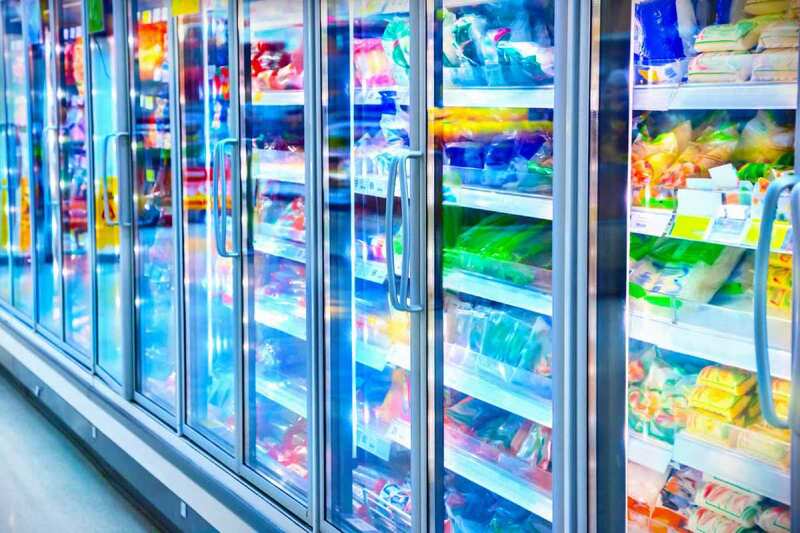 All of these preventative measures will ensure your refrigeration units continue to perform to their best ability, will prolong their lifecycle and help reduce unnecessary energy bills and call out costs for repairs.